Teachers have a difficult and sometimes thankless job. Educating the youth of the world can leave you feeling overwhelmed at times and tasks may fall through the cracks. One way to make teaching a little easier is by using the lesson plan checklist. With the lesson plan checklist, you can lay out lesson plans weeks and months in advance. 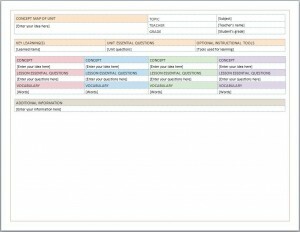 You can save the lesson plan checklist on your computer and pull up the document in future school sessions and years. Teachers have enough expenditures to worry about. That’s why the lesson plan checklist from Microsoft is available for free by clicking the link! The lesson plan checklist is a Microsoft Word document. The sheet is easy to download, print and use. After the lesson plan checklist is downloaded, you can either type in all of the necessary information or print it off and fill it in by hand. The first step in filling out the lesson plan checklist is to add your lesson plan idea in the box marked “Concept Map of Unit”. Next, add the topic, teacher’s name and grade level. The next step is to add the key learning items, essential unit questions and optional instructional tools. Half of the lesson plan checklist sheet is designed for you to add important notes or any other additional information that will help you deliver the lesson to your students. Among other things, you can add key points or points of emphasis in this part of the lesson plan checklist. Map out your future lectures and get better organized with the lesson plan checklist from Microsoft Word. Download and print the lesson plan checklist for free today!